Having your new blog on Google search results as fast as possible is every newbie or old blogger dream and one of the ways you can do this is to allow Google know your blog. Don’t think because you have a blogger blog Google will automatic know about your blog, they will but it will take time. Verifying your blogger blog with Google is really one of the first steps in SEO of your blog you should take as to get your blog to Google search result as fast as possible. As you know Google search engine is the most and well used in the internet followed by other such as Bing, Yahoo, Aol etc. So how to verify your site on Google webmaster tools process is what am going to be showing you in this post, verifying your blog is very important and should not be left out. all you have to do is follow my steps below. You will find a red button, click on it. the button looks like the image above. After clicking on it, you will find a box asking you to enter your blogger blog address. After writing your blogger blog address, click on the continue button. You will be asked to verify your blog ownership, this is to prove that you own the blog before you claim someone else blog. There are two methods that you will be offered during the verification which are “Recommended Methods” and “Alternate Methods“. But you should pick the Alternate Method. Login to your Blogger dashboard and edit the template to get to the head tag, when you have click on Edit HTML under the Template . insert it under this <head> and before the </head>. 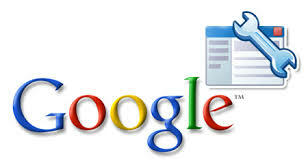 Check the Google Webmaster tools and confirm the verification. Great Post and easy understandable explanation. Thank you for sharing, this post be useful to all the bloggers. Using this tutorial ,i’ve successfully verified two of my blooger blogs with google webmaster tools.Thanks for sharing. thank you for this information. recently i verified my blog with your support. Thanks for the post. It worked nicely for my blog. dude does it will help to increase our blog traffic? Please I don’t understand step 5 and 6. Thanks. I could ‘t verify my blog with gmail .template option d’nt show in dashbord.